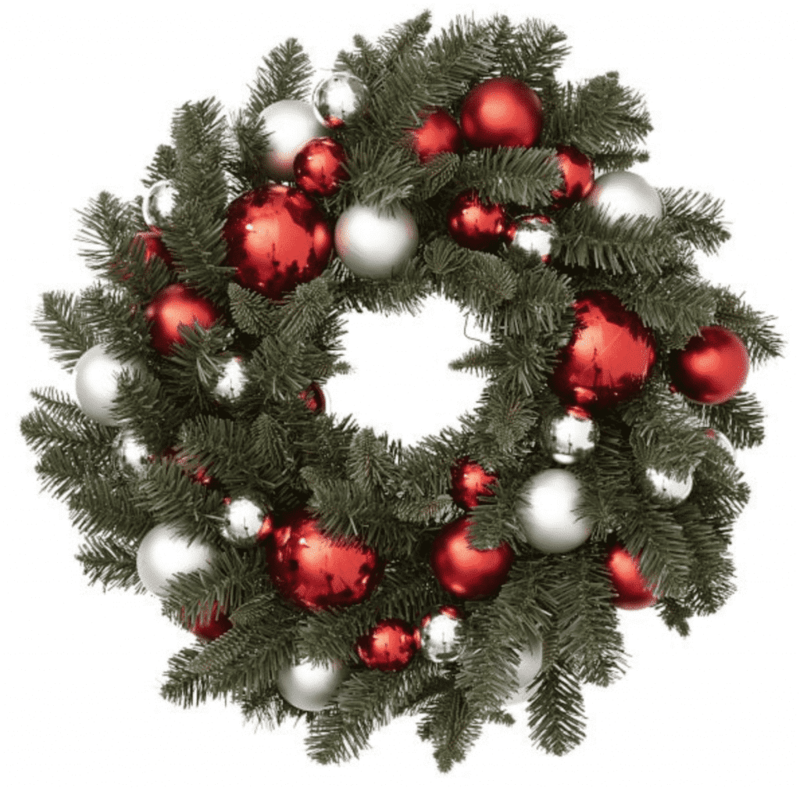 The holidays are almost upon us and so are holiday wreaths and decorations. I love perusing different websites to see what types of decorations they have every year wanting to make my house into a winter wonderland. I particularly love wreaths (as is evidenced in 15 Favorite Fall Wreaths) because they are so beautiful and festive. 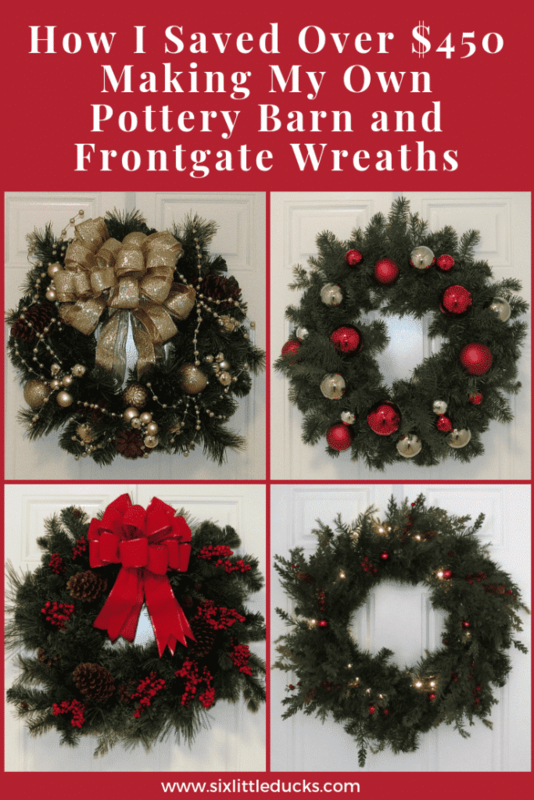 My favorite sites to find wreaths are Pottery Barn and Frontgate. I love all of their wreaths and decorations, however I don't always like their prices. I decided this year I was going to try to make the same wreaths for a fraction of the cost. This Pottery Barn red and silver wreath has a lot of sparkle and color. I love how the red and silver lights up against the green of the wreath. When you see the wreath under lights it just sparkles. Pottery Barn has a gold and silver version as well. For my version I used items from various craft stores. I bought a standard green wreath for $4.80. I wrapped a pine garland $12.00 around the entire wreath to give it some more body. I also bought some red and silver balls of varying sizes for a total of $20 for all ornaments. I assembled the wreath using floral wire $2.29 and floral shears I already had. 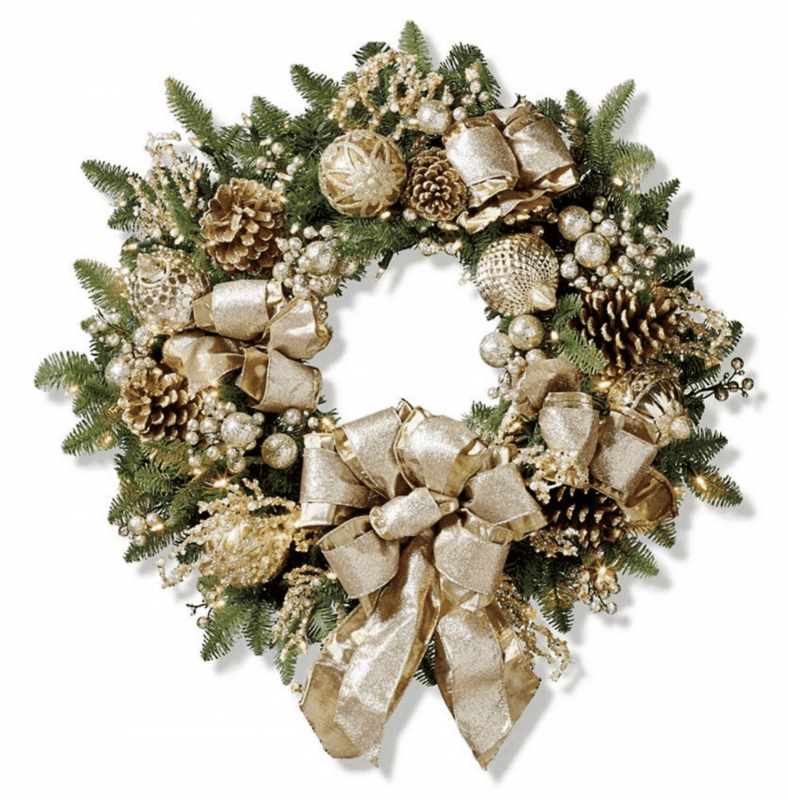 This gilded wreath is beautiful and sparkly. It weaves gold ribbon throughout the wreath. 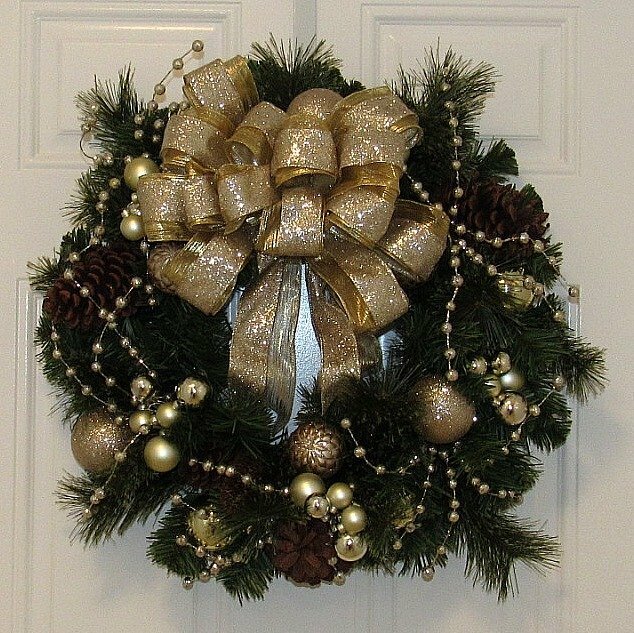 Gold sparkly berries and gilded pinecones complement the greens of the wreath. For my version I used a base pine wreath with pinecones which cost $14.40. The gold ornaments that dot the entire wreath cost $16.80. The small gold balls that are tucked in all over the wreath cost $5.95. The strings of gold balls cost $3.95. The ribbons used to make the bow cost $8.00. I added additional pinecones that totaled $2.40. The original wreath is arguably much more ornate than my version, however my version was fun to make and is very sparkly! 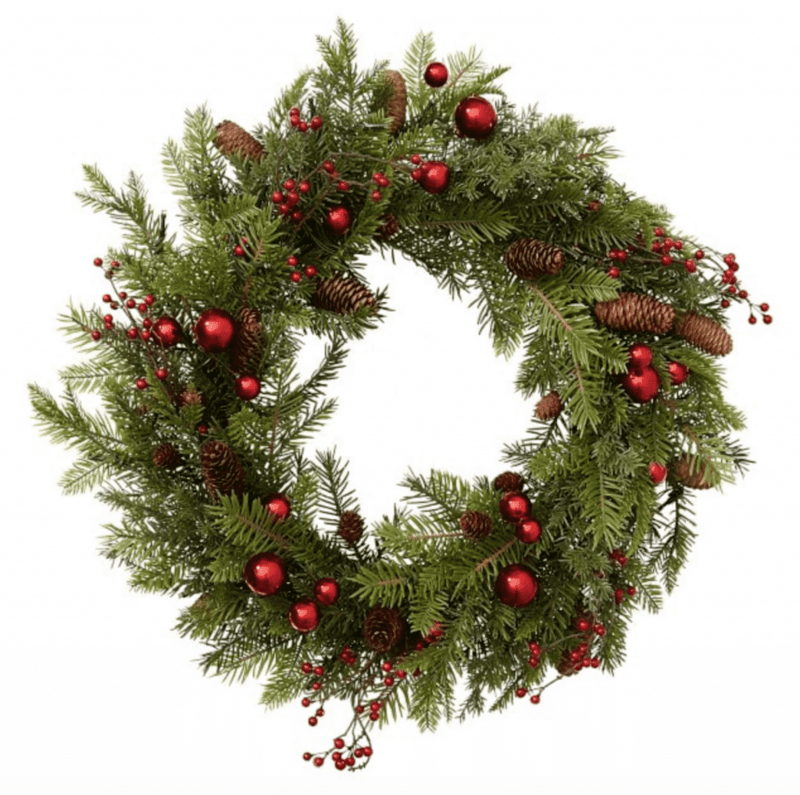 I love the mix of greens, pine cones, and red berries on this wreath. 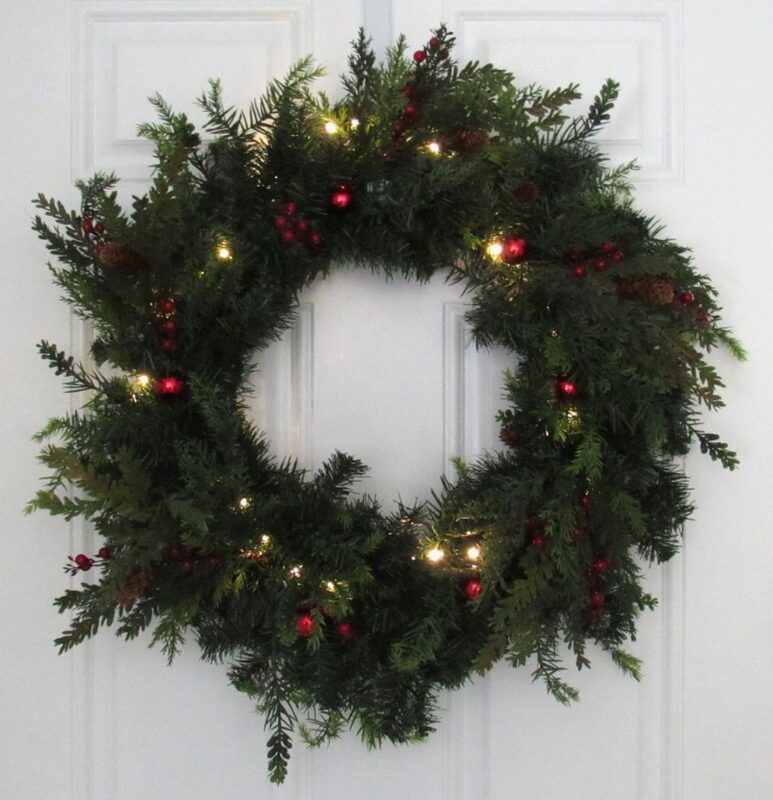 The Pottery Barn Yule Tide Collection wreath is a beautiful mix of green pines, red berries, sparkly red ornaments, and earthy pine cones all lit up with gorgeous white lights. For my version I used a plain pine wreath base which cost $4.80. 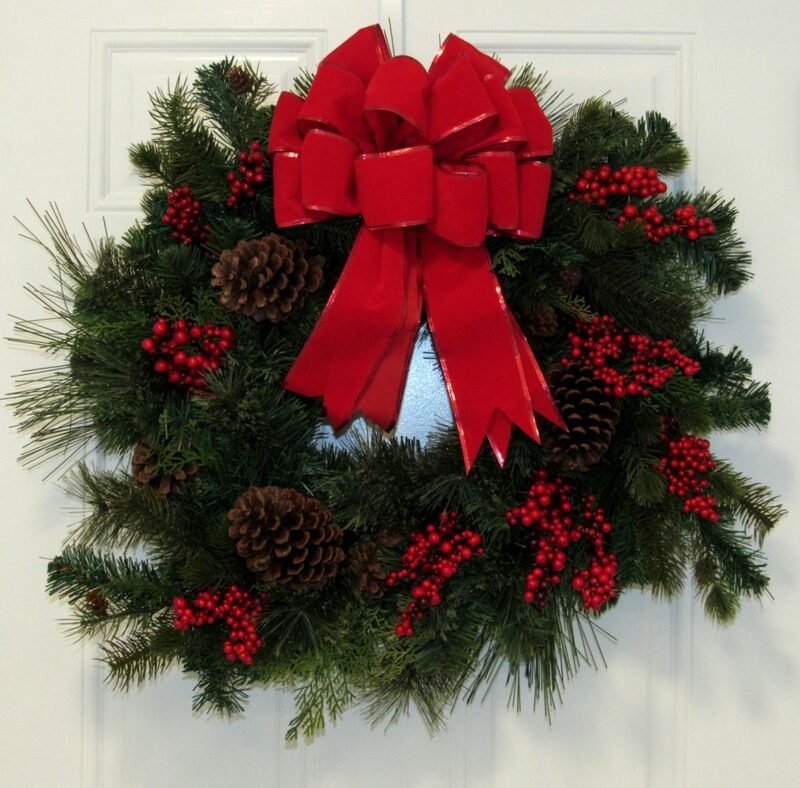 I added a garland of pine, pinecones and red berries for $8.00. I also added lights $4.80, sprays of berries, pine and pinecones $11.95, and small red Christmas ornaments $3.99 to finish it out. 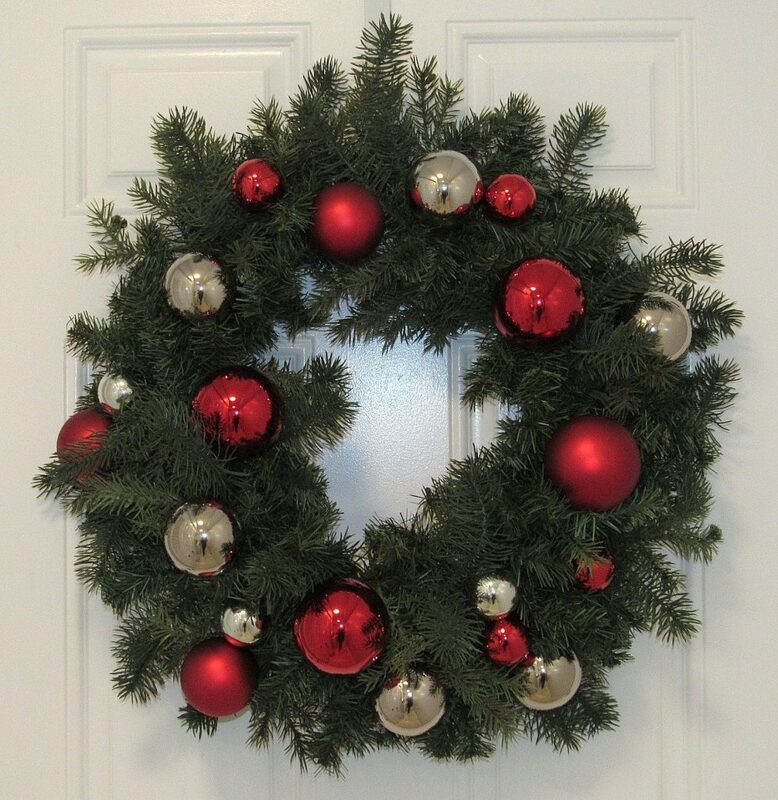 This wreath is a “classic” Christmas wreath incorporating the traditional Christmas colors of red and green. 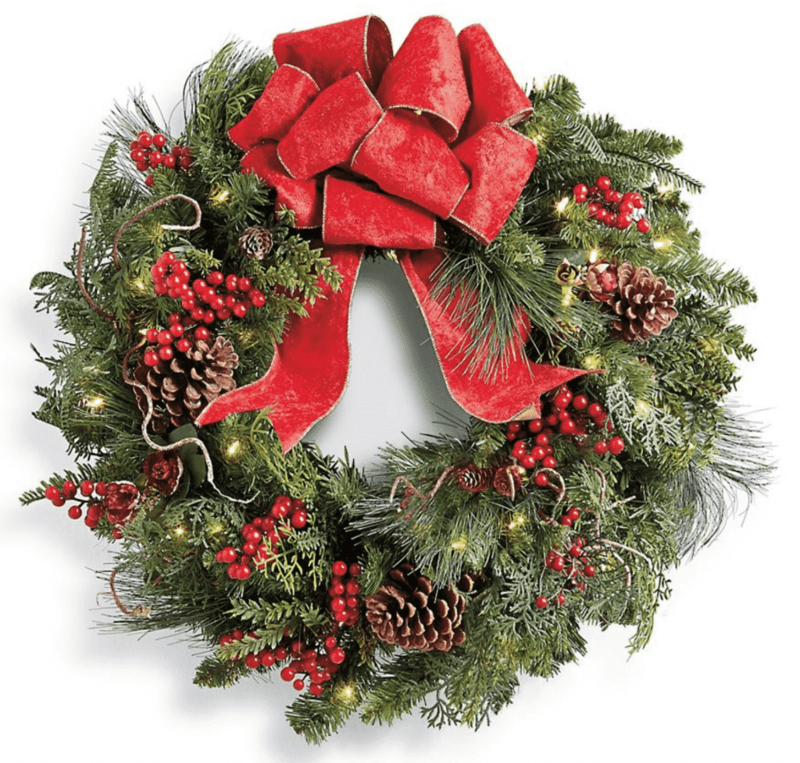 There are many sprigs of berries, lots of pinecones, and a variety of greens woven throughout this wreath. It is topped off with a large red velvet bow with gold edging. For my version I used a pine wreath base that had pinecones already attached $14.40. I added in three pine sprays for $7.17 and five pine sprays with red berries for $11.95. I added in additional sprigs of berries for $4.78. I topped it off with a pre-made red velvet bow for $11.20. The original wreaths are all beautiful and well put together. My versions, while not exact duplicates, are all lovely as well. While it takes a little time to make wreaths yourself, I believe it's well worth the effort. Not only do you save money, you also have the joy and satisfaction of having made them yourself. « 10 Favorite WW Friendly Foods You Can Buy Online!